Towards Minimalist Game Design is a paper written by the designer of Osmos and Canabalt, two critically acclaimed independent games. Read the text and write a response down here in the comment section. – What do the authors mean by minimalism in game design? – Can you think of other examples of minimalist games? – Can you think of other parallels between game design and minimalism in other fields such as music, visual arts, architecture etc? >What do the authors mean by minimalism in game design? Minimalism in game design is ideally low perceived complexity of the game yet deep systemic complexity. It’s not only about aesthetics but rather minimalist design principles in a holistic sense. It is “deliberately abstract”. By abstraction, the authors mean extracting the most necessary elements of a complex system to the player, highlighting and perfecting them. Minimalist games leave the rest of the scenarios to be filled by the players’ imagination. It’s about placing constraints on the design process, providing players with interesting choices but not vast, and depth of play. Can you think of other examples of minimalist games? 140 is an upcoming platform game developed by Jeppe Carlsen, known for his gameplay direction for Playdead’s Limbo. It has minimalist visuals and cleverly adopts music as its theme identifier, letting the player pay more attention to the music. Can you think of other parallels between game design and minimalism in other fields such as music, visual arts, architecture etc? Steve Reich is one of the most well-known minimalist composers. His work Piano Phase incorporates very simple “phasing technique” – putting two identical lines of music which begin by playing synchronously, but slowly become out of phase with one another when one of them slightly speeds up . Melody-wise, it’s as simple as 12 notes repeating all the down, and yet with the “phasing technique”, creates very interesting and rich musical and sound experience. The work minimized the melody component but amplified the sound component in a music piece. The game’s great because it boils down the concept of a sidescroller to a simple abstraction and, by using the desire to hear the music and an “attempt” counter at the top of the screen to remind you how bad you are, it keeps you playing. It was interesting that they referenced Donald Norman a number of times in the paper. I’m reading his The Design of Everyday Things right now, and yes, Norman discusses good design/bad design and minimalist game design is also about good design/bad design. The only thing is that Norman is talking about how to make things more useful, intuitive, less problematic by improving the design of things, while video games usually are designed to be a problem. I mean, of course there is definitely good ways to design games (interface, levels), but I think Norman is talking about a different type of design… If these minimalist games were designed like Norman would like it (and he wouldn’t, because he probably believes games are meant to be not like this) then it would be designed specifically to make the player win as easiest as possible. I mean I know that Nealen is referencing Norman in terms of universal design concepts but I just thought about that. Reading the bit about minimalist controls, I was thinking if you could take a non-minimalist game (i.e. Street Fighter or Call of Duty or something) and condense the controls to make it more minimalist. I’m guessing it would make the game easier and wouldn’t really work? But I was just thinking about how in Canabalt there is one button because you wouldn’t need to use a D-pad for it. I also am thinking about how you can make games without instructions but have the gameplay itself (interface, feedback, visuals) explain the game mechanics and rules (non verbally) to the player when he/she plays it. Also also I feel that making minimalist games that are both original and not boring would be pretty hard. I feel that having one or two mechanics in a game is nice, but that game probably has already been made. 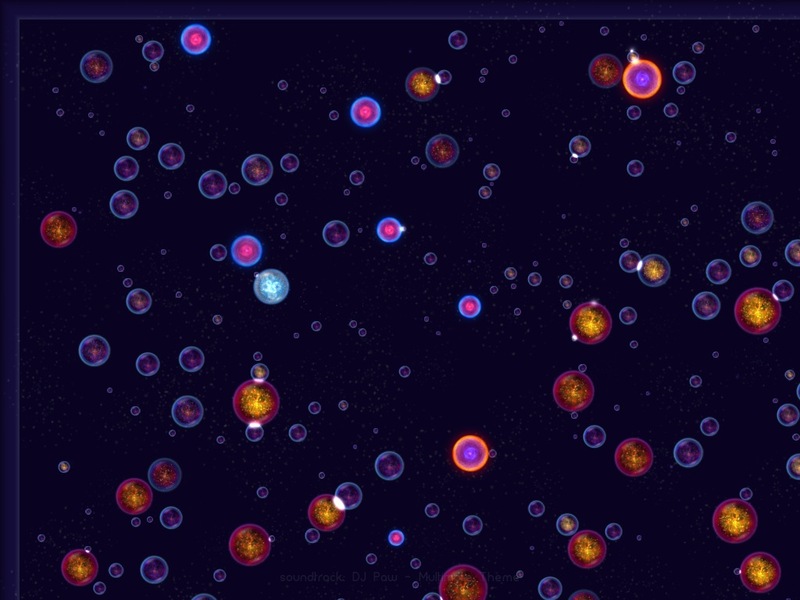 For example, Osmos is derived from those old web-flash games (shockwave I think?) where you start small and you try to get bigger by eating things small than you (I remember like a Fish game, do you?). Osmos adds to that mechanic with the movement/life mechanic, but it’s still the same game. Is Osmos original? Is Canabalt? What can you define as original etc etc…….. What I mean is, it’s hard to make a game with simplicity in mechanics without overlapping with what exists in the world. And the thing about “minimal aesthetic of early video games” makes me want to say “retro” and “minimalist” should be different. Not all of those old games were great, or well-designed. I’m sure the creators probably didn’t think that their game was minimalist (definitely didn’t design them to be), they just worked with what they had. There are a bunch of games today that are “retro” but not minimalist. Retro in graphics, retro in style, but not designed to be minimalist. They just wanted to make a game with that old style so that people browsing the app store would be like “this is cool looking and only $0.99!” I guess minimalist game design plays off of the old looks of video games, but there is definitely more to it than just imposing resource constraints. I feel that you can make a game that is minimalist but is not in that specific “retro” feel–I’m thinking of Splice and Edge, both puzzle games with pretty minimal mechanics but current-day graphics. Maybe Nealen doesn’t exactly mean that minimal games should look minimal in graphics (Osmos is pretty high res), but I thought he mentioned this somewhere… Whatever. Also what’s the deal with these crazy weird wordpress avatars? Like, my brain is out of my head. Minimalism means boiling down a game into its basic components, like having simple aesthetics and mechanics, without affecting gameplay depth. This is done by constraining the design space, having a theme instead of a whole narrative, and giving the player a small set of choices that have significant consequences in the game. The tight coupling of several of these systems, if done well, can result in a simple but well balanced game. It isn’t supposed to be a strict textbook definition of a minimalist game, but I find their rationale quite reasonable and similar to how I myself would definite minimalist games. Some examples of other minimalist games are the puzzle platformers VVVVVV and Thomas was Alone. VVVVVV allows the player to control gravity to solve puzzles, while the main draw of Thomas was Alone was the contrast between its simple visuals and its deep narrative. Sol LeWitt is an example of an artist who frequently incorporates minimalism in his work. His mainly uses geometric shapes in his art, but uses them in a way such that they create very visually striking pieces despite being compose of such simple forms, similar to the way how minimalist games are able to create gameplay depth from simple mechanics. According to the authors, minimalist game design is best achieved by affording the player simple tools which, when enacted together, create a compelling and more complex experience than the mechanics on their own relate. Also, it is important that the systems developed by the game offer a large possibility of play spaces despite the simplicity of their appearance. Finally, the authors place importance on the abstraction of visuals and audio so that they are representative of content. Although I have never played Minecraft, from descriptions that I’ve heard and video that I’ve seen, there seems to be a few mechanics and tools that allow players seemingly limitless possibilities for creation and play. Minimalist theater often sacrifices some of its core elements in order to accentuate one or more others. By reducing the complexity of the presented information, the possibility of evoking the audience’s interpretation of the work is increased. I would have liked for the authors to place a bit more emphasis on the aural aspects of minimalism in game design. -What do the authors mean by minimalism in game design? In this article, the authors refer to minimalism in game design as a way to strip away all unnecessary audiovisual components, mechanics, rules, controls, and interface of a game and focus on perfecting of the core components. They also talk about player attention being a limited resource that cannot always be reliably determined. Minimalism can be used a powerful tool to funnel player attention to important aspects of the game, and often allow user imagination to fill in any missing gaps. One of my favorite minimalist games is called Nanaca Crash (http://megami.starcreator.com/nanaca-crash/) It’s a pretty old Flash one-button game that was context-sensitive. The game begins with two clicks to determine launch angle and power, from there, the goal is to continue moving as far as you can. Clicking at specific times would perform additional launches that could extend your distance. Minimalist game design has parallels with graphic design such as the WPA-style posters that was popular in the early 1900s. This design style focused on constraints such as the use of 1-2 typefaces, 2-3 colors, and bold illustrative artwork. The result was content that was easily understood and visible amongst the visual clutter the marketing and advertising at the time. I think minimalism means more of simplicity to the user than actual minimalism. Minimalist games can provide a wide range of experiences through different choices made by simple actions of the player. As a player goes through the game, they distance them self from the universal start into a situation they have come to; minimalist games can provide vast worlds, but this vastness is traversed by the player with smaller actions. Journey for instance is considered a minimalist game, but the world it offers is monumental. I found this article quite helpful, and I thought I would try to apply some of its concepts to a game that I’m making called Wormdark. Wormdark is a side-scrolling roguelike based around a Rock Paper Scissors-like battle mechanic. I was having problems integrating the side-scrolling and battle sections, and making the RPS system more skill-based. I also had difficulty conveying a ‘storyline’ without any exposition or text. The article recommends focusing on a single core mechanic, which I identified as the option-driven battle system. Each round the player is given a number of ‘attack’ options and must choose one. Both the player and opponent die in one hit, emphasizing the importance of quick decision making over stats or long-term strategies. If I were to apply this ‘theme’ to the side-scrolling sections, I might remove movement entirely and instead give the player limited options at crossroads, each of which has a trade-off. This reiterates the idea of discrete, quantifiable decisions. Previously, I had upgrades that would enhance your characters abilities. These are difficult to keep track of, however, when you have to keep your attention focused on the options at all times. So rather than the upgrades giving passive benefits, I made them add to your list of options. I also found the section on narrative useful. The authors describe how Canabalt doesn’t fill in all the elements of a conventional story arc, instead describing a potent atmosphere and allowing the player to fill in the details of the cause-and-effect themselves. So rather than focusing on an explicit story, I decided to build up the world through stronger character design (including new movement animations to emphasize the difference between the ’emotional’ character and the ‘robotic’ enemies), world design, and visual style. I transformed the sterile facility aesthetic I had before into a harsh, flat, black&white tunnel system that emphasizes the binary nature and linearity of your machine antagonists. I also placed the character to the left of the screen, rather than the middle, to give the impression of an unseen presence behind them. I have both weapons and power-ups, which I found difficult to convey without using explanations for each item. The article recommends symbols and signs based on the real world, which I found helpful. I decided to convey the relationships between weapons using equations, like X > Y, rather than sentences. I previously had difficulty trying to introduce depth (in terms of difficult decision making) into such a simple, luck-based system. The article suggests obfuscating minor details in order to keep the ‘core’ experience pure, but to also allow more skilled players to manipulate the system. To respond to this, I added new types of enemies that have a higher chance to attack in certain patterns. I wouldn’t mention these patterns in game, but a perceptive player can recognize these patterns, if only subliminally, over many playthroughs. The article also mentions how even simple or obvious decisions can become difficult under a time limit (e.g. jumping in Canabalt). I added a strict time limit to every action in order to make them instantaneous and more instinctual. Over many playthroughs, the player develops immediate reactions to every situation, like muscle memory. I think a minimalist game is one that is easy to get into, easy to play, and easy to understand. In this sense, a minimalist game is “simple” in respect to how people interact with it. For example, the appearance, controls, and theme of a game can usually be perceived very soon after you begin to play the game (or maybe even before you begin to play). The idea is that a minimalist game is easy to pick up and understand for first-time players, but also allows for the possibility of depth that can only be found once you are playing. A slightly different way of looking at it is that minimalism in games takes away all of the extraneous information and leaves only what is relevant to having a playable (and fun) experience. One thing that I found interesting in the reading was when the authors said that “minimalist games are about choice, but not the vast choice of, for example, the board game Go.” Many minimalist games, including games referenced by the authors like Galcon, have a huge amount of choices to be made, especially when the factor of time is considered. Using Galcon as an example, it might seem like there are vastly fewer choices than in a game like Go, but when you consider that the player gets to choose when to send their ships the possibilities become almost endless. Go, as a turn-based game, actually seems to give the player fewer options. The paper mentions having a controlled “set” of choices that can lead to a possibly large number of results. This idea of a set of choices seems to be the player’s options at any single given instant. Thus, the authors seem to associate time more with the set of outcomes than with the set of choices. In other words, “a single choice can have many results depending on when the choice is made” (rather than considering the time as a choice itself). A game that comes to mind when I think of minimalist games is Flow. In this game, up to four people can steer their fish-like creatures around the screen, trying to absorb other creatures with the use of a single ability. This core mechanic (trying to absorb creatures using your ability), the visuals, the controls, and the theme are all very simple, yet there are a lot of things going on that add depth. The ability to play with four people and choose what type of creature to use, as well as the choice to defeat creatures or skip levels entirely, add a lot of options for the player. In this way, it is more about exploring the space and your creature’s abilities than trying to “win” the game. • What do the authors mean by minimalism in game design? Minimalism in game design means lower systematic complexity in game. This doesn’t mean that game must be abstract. Abstraction facilitates minimalism; it natural allows it and at times can imply. Minimalism in game design is: simple and small rule sets (appealing to larger audience; makes game easier to understand), fewer game mechanics and usually one main mechanic (a focus on perfecting these few mechanics to make them as fun as possible instead of a flood of mediocre mechanics), fewer options given to the player (less things to chose between doing in game) and often, abstract or minimalist graphics and audio (easy to perceive what is happening in game). • Can you think of other examples of minimalist games? What do the authors mean by minimalism in game design? Minimalism in game design, unlike what you find in minimalist art, is not usually a reduction to expose the essence or core identity. Nor is it usually an aggressive rebuttal to traditional beliefs. It is simply an alternative design process, or one that is at times required due to size of development teams. Minimalism in game design often means that the visuals are usually abstract, the rules are few, and the controls are easy to use. While the perceived complexity may be low, the systemic complexity may actually be quite high. Dino Run SE is one game I can think of off the top of my head. It plays relatively similarly to Canabalt. Limbo is definitely minimalist in terms of (lack of) colors and controls. Parallels can most easily be drawn between the visual arts. At least in the terms of games with the most basic and minimal of design.